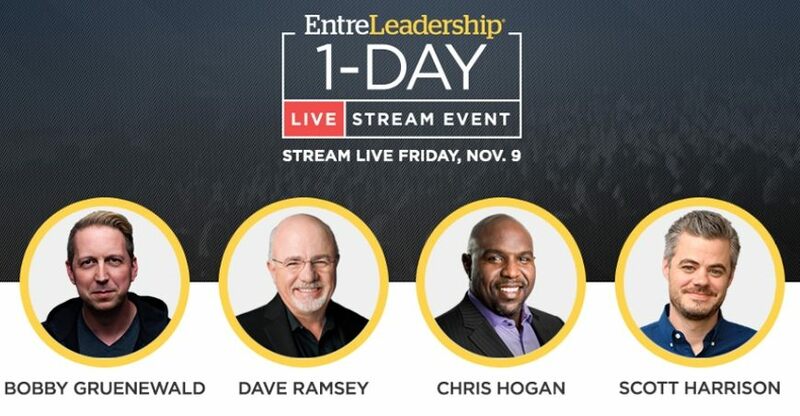 Friday, November 9, 2018 | 9:45 a.m. to 4:45 p.m.
One-day of superb business and leadership training live streamed from Phoenix, AZ. Bring your team and join other regional leaders for powerful networking opportunities. Attendees are invited to eat on their own or join us for a lunch buffet on campus for only $6.00. Registration closes Monday, Nov. 5. Contact online@nwciowa.edu or 712-707-7388 with questions or to inquire about late registration. EntreLeadership 1-Day is an event for business owners and leaders, as well as their teams. This is your chance to completely transform how you grow yourself and your team to maximize your business’s potential—and your profits.